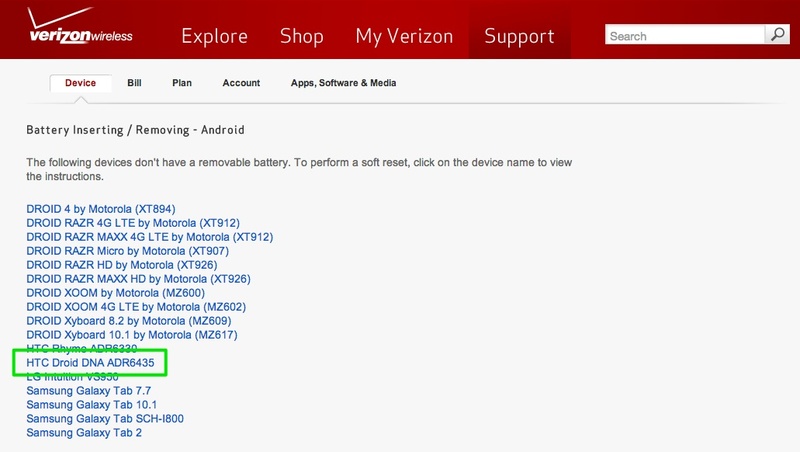 Thanks Verizon, for confirming the name of the 5″ 1080p HTC device of yours before you have announced it. As you can see in the support page above, the ADR6435 is listed as the HTC Droid DNA. This name first popped up in a MAP list a week ago, but things can always change on those, especially since MAP lists tend to come from 3rd party VZW stores. I’d say that this posting to Verizon’s official site is about all the confirmation we need, though. Still no word on a release date other than mid-November, which just so happens to be a couple of weeks away. New thoughts on the name?